Say hallelujah, you entrepreneurial New Yorkers buying unlimited-ride MetroCards and selling subway-entry swipes to tourists. Your "occupation" is no longer considered a felony, according to New York law thanks to New York's Court of Appeals. In his decision, judge Jonathan Lippman said the act, "although decidedly criminal in nature," doesn't rise to felony status because the transit authority does not have a valid property interest in the swipe-buyer's fare. That is, the MTA "never actually possessed the fare that it would have otherwise been paid." Tricky. But don't go stocking up on Thunderbird and dancing in the streets, yet. The scam will probably still be a misdemeanor under "theft of transportation services" statutes. 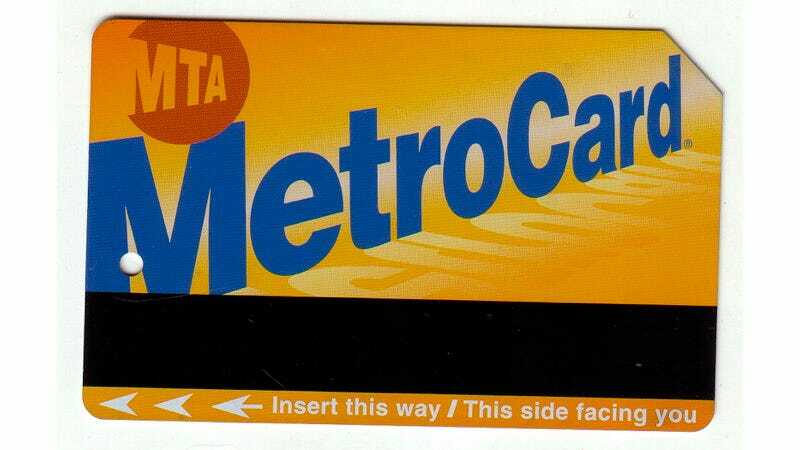 Giving away free swipes to your MetroCard-challenged friends is still legal, though. How else could we get Matt through the subways in he's in town?